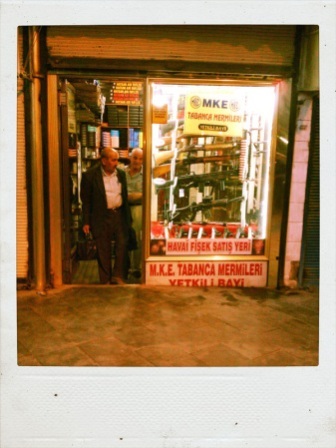 Walking down some of the shopping streets in Gaziantep can sometimes feel a little like walking through a sweet shop. Everywhere you look there are shops displaying a mouthwatering array of tiny pastries, some of them almost entirely green. 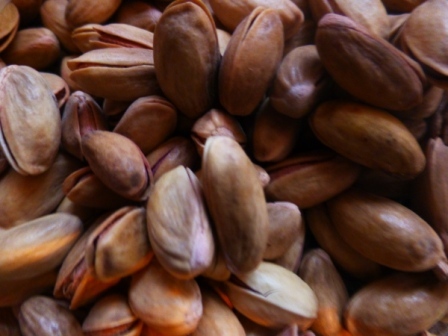 Gaziantep is known for its food, and especially for its pistachios. It seems amazing that so many shops, in such close proximity to one another can all be selling virtually the same product and actually stay in business. This, I guess, is clear evidence of the Gaziantepine love for all thing pistachio-related. 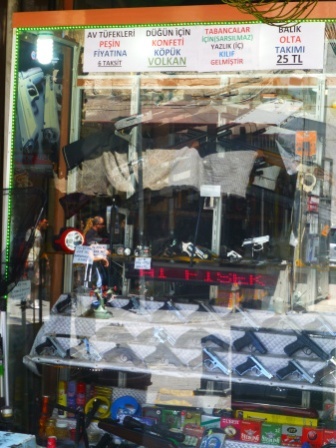 What really made me stop and stare, wide-eyed, were the shops openly displaying lethal weapons in their windows; hand guns, rifles, huge killer knives. 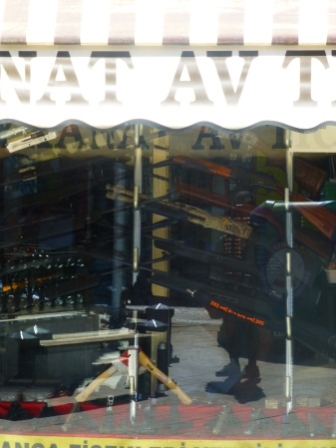 There was one opposite the fruit market, there was one in the shopping mall, there was one next door to the shop where I bought my lemonade. Yikes! What this really shows up is my own Englishness (or is it just my squeamishness?). In many quite civilized countries no-one bats an eyelid at the sight of firearms in public view on the high street, but we just don’t do that.